These are a few things I was looking to buy this weekend. Unfortunately, I was a complete and utter idiot, and forgot my rail card on a journey from Cambridge to London and had to fork out just short of £100 in fines and new tickets! WHOOPS! I'm going to see about claiming some of it back, but until then, I am reduced to dreaming about these lovely products and crying a little about what a fool I am! 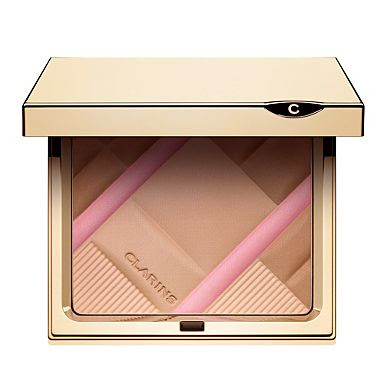 This is something I have seen around a few blogs and channels, the Clarins Colour Accents Face & Blush Powder. I got a chance to swatch this yesterday, as our local Boots has a Clarins counter. This looks so good online and to my dismay, it's even more lovely in real life! The colour payoff is great and it swatches so soft and blendable on my hand. Sob. The other product I was looking at is the Urban Decay 'Smoked' Palette. We all know that when it comes to eyeshadow palettes, Urban Decay is the top dog and this new one looks set to continue that. I saw a great review of this on FleurDeForce's blog so be sure to check that out for all the swatches.